AirStMaarten offers 'Shared Charters' from four different connection points via St. Maarten, Anguilla, Antigua and San Juan to St. Barths. St. Maarten - Terrance Rey, founder of Caribbean’s first and only virtual airline called AirStMaarten, launches a new concept in private charter service to St. Barths with connecting flights from St. Maarten, Anguilla, Antigua and San Juan, Puerto Rico. AirStMaarten will offer private charters whereby clients can purchase seats on the aircraft instead of paying for the whole plane as is normal with a privately chartered aircraft. The concept was initially launched in November 2006 and tested thoroughly throughout 2007 before the optimum price per seat was determined that delivered the required amount of passengers to make the concept financially viable. "We found that the optimum price guaranteed that we could manage to break even with a minium of four passengers per flight." explains Rey. “We will be utilizing aircrafts such as the 9-seater twin-engine Britton Norman Islanders and the 9-seater Cessna 208B Caravans." Rey says. 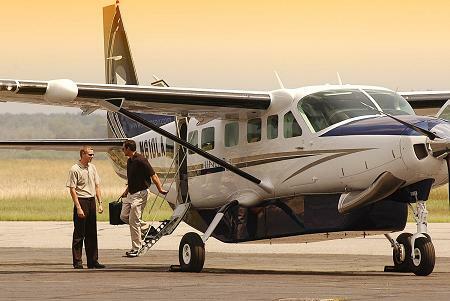 Ïn 2009 we hope to put in DeHavilland DHC Twin Otter 19-seater aircrafts with executive style interior.” continues Rey. "The demand for larger group charters makes it necessary to utilize bigger aircrafts with more seating capacity." 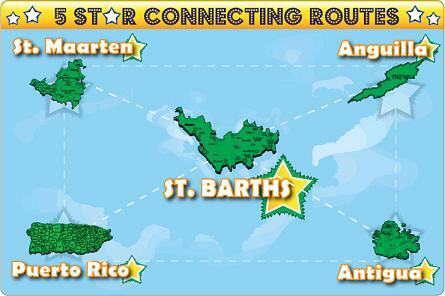 St. Barths' airport has limitations making it necessary to only operate small commuter aircrafts into St. Barths. According to Rey: "The biggest aircraft we can safely land in St. Barths is a Twin Otter size aircraft or Cessna Grand Caravan." St. Barths' airport has another limitation in that the airport closes at sunset. This necessitates the need for flights to arrive in St. Barths before sundown. "Clients arriving late into any of the four connection points to St. Barths, such as St. Maarten, will either have to overnight, take the ferry or charter a speed boat." says Rey. "Shared charters will not only help us alleviate the stress of same day connections to St. Barths,” Rey explains. “but will also help us accommodate our clients looking for affordable connections into St. Maarten, Antigua and San Juan”. Click here to book a shared charter directly online now.